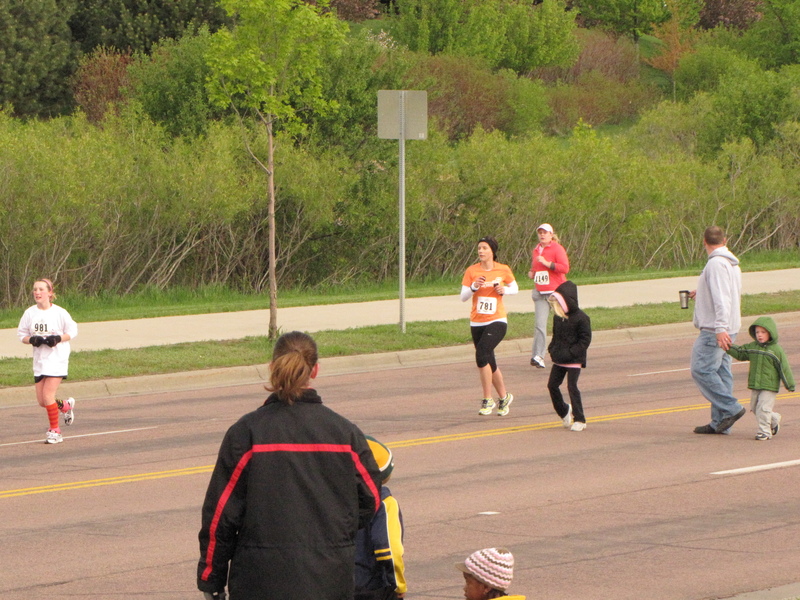 Saturday was the Avera 10k, which marked my one-year runniversary! I trained for this bad boy for a whopping 3 weeks last year, and nearly died running a 59:34. Ouch. The goal for Saturday was 49 flat, a 7:53 pace. 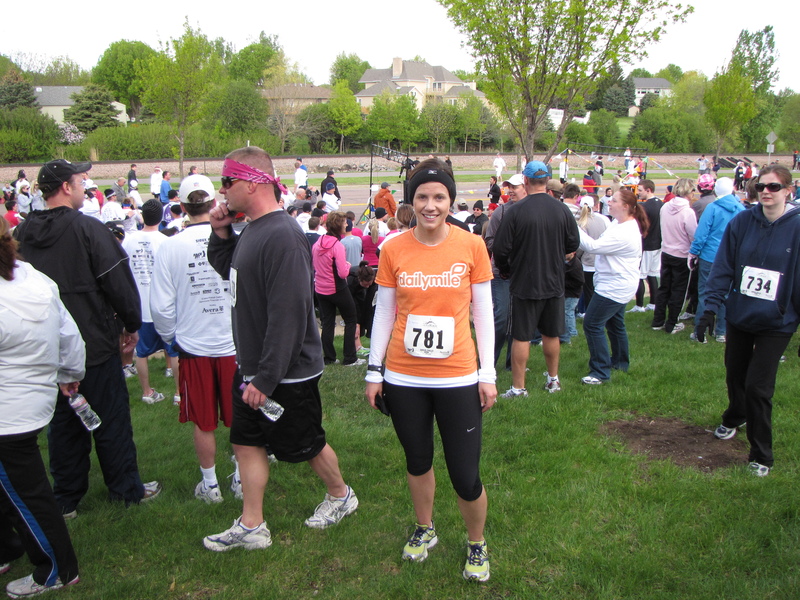 I run at least some portion of the course several times a week, so I felt totally calm and relaxed at the start. I lined up in front, let adrenaline carry me off the line a little too fast, then settled in. 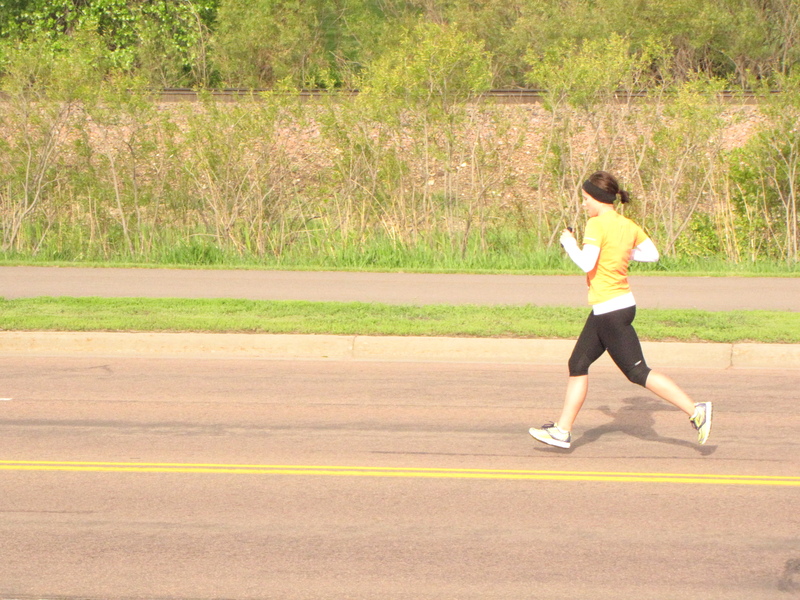 I thought I felt like I was holding back, but who knows what’s going on in mile 1, right? I checked my pace occasionally, but mostly tried to keep my head up and run. I felt really, REALLY good. I didn’t even consider speeding up though–Coach said I could run 49. I really figured I’d blow up if I pushed it. The last mile is almost a straight-shot to the finish line, and it wasn’t until I got there that I had the guts to push it a little more–I realized I really wasn’t going to die from getting under 7:50. I finished in 48:33, a 7:49 average pace. I immediately called Coach (it’s one of his things–you tell him about races IMMEDIATELY) and he says, “You don’t even sound like you ran hard!” And that’s when it occurred to me I wasn’t even tired. Lame. Last Thursday’s mile repeats went well, and that helped me pull my crap together for this race. After seeing my results, I asked Coach if I should maybe be running them faster if I was able to stay in the (high!) 7:40s for 6.2 miles. Lucky for me they showed up on my schedule again Tuesday. The result? All in the low-mid 7:20s : ) I apparently needed to have a good race to have the guts to step it up in training. Totally backwards, but I’m grateful for the discovery that I can run faster than I thought I could. CONGRATS! It’s so much fun—and so encouraging—to see your progress! I’ll be reintroducing those mile repeats into my own schedule soon enough. They hurt, but man, do they ever work! Love the progress in only a year! Craziness. And I also love that after a week of somewhat crappy runs, you were rewarded w/an AWESOME race. That always seems to happen….crappy run = AMAZING RUN just around the corner. Congrats on the awesome PR!!!! Congrats on an awesome PR & love the DM shirt!!!! Enjoy your taper!